Our brand-new custom metal badges are the ideal way to compliment your staff uniforms without needing pins or sharp points to affix the badge. Unlike conventional badges that pierce into clothing and wear down the area, these metal badges come with their own clip that keeps them in place. Since they slide onto a pocket, our custom metal badges look like they are part of the garment and like they belong there. This is the same benefit as embroidery, but much less invasive and more affordable. We offer three different shapes to choose from. You can get a 25mm square, 25mm circle or a 25mm-by-65mm rectangle. All three have the same benefits and features, it all depends on which shape you think looks best. 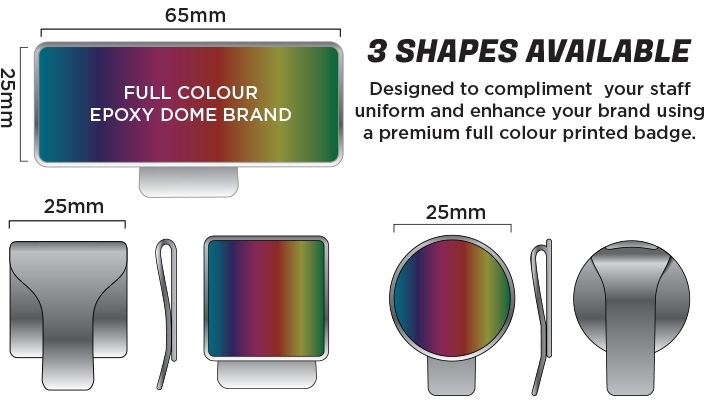 The front is for full colour epoxy dome branding, which allows you to add your name and logo, and the metal badge comes in 19 different colours and shades. We know this is a big decision for your company. 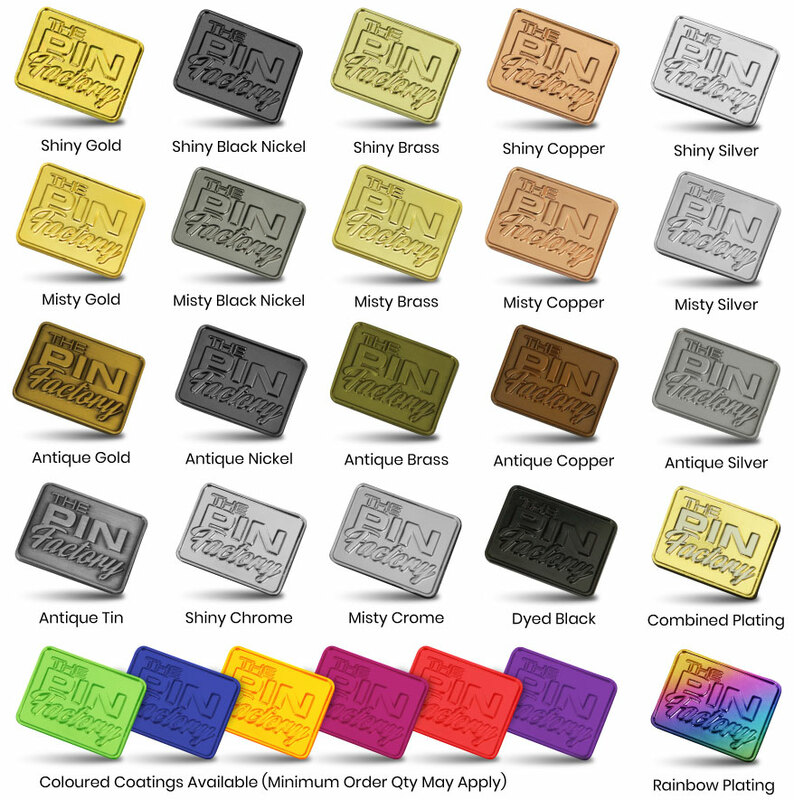 To help ensure that you're happy with the final result, we offer unlimited mockups so that you can see a prototype of what the custom metal badge will look like after production. Order as many as you'd like until you're satisfied. Full colour printing on the front along with 19 different metal options for the badge. No sharps or pins, allows you to slide the badge right onto your uniform. Choose from three different shapes: square, circle, or rectangle. Unlimited mockups until you're happy with the final result. When you're looking to step up your game and look more professional, then our custom metal badges are exactly what you need. We allow you to choose the metal, the front printing, and the shape. Give us your order details and we will give you the perfect badge for yourself and your staff members.